Joy’s favorite part of Gmail is the “Undo” button, which allows you to call back an email that on second thought, you shouldn’t have sent. You can set it to hesitate for as long as 30 seconds, which allows for short naps. There’s also a new Gmail look available for your computer. If you’re a Gmail user this new version should pop up as a choice, meaning it will show you what’s new and you can keep that or go back to the old email version. The new one adds icons for your calendar, shopping list, and task list on the right side of your screen. Click the calendar app, and it opens in a side bar, not interfering with your email view. The same goes for the shopping and to do list. Another new feature is “Confidential Mode,” available for phones and computers. Confidential Mode lets you put an expiration date on an email, making it vanish after a set time. It also keeps the recipient from downloading or forwarding it, though they could do it anyway by taking a screen shot of the photo or message and sending that. To try “Confidential Mode” on your phone, write a message. Then tap the three stacked dots in the upper right corner and choose “Confidential Mode.” If you’re on the computer instead of the phone, look for the picture of a locked clock in the bottom right of the email window. Decide when your message should expire, anything from one day to five years. (This could save many politicians and any number of shaky romances.) If you change your mind about a message, tap “revoke access.” That’s kind of a harsh phrase, but the programmer was probably having one of those days. Other new features on the computer: You can hover over an email and snooze it for later viewing, delete it, or archive it. And when you reply, you’ll see canned messages, ready to click on. Joy has been using these in text messages for a while, but they often have unnecessary exclamation points. A different kind of canned message, created in settings, can be used as a signature, like “Yr Hmbl Srvt, Bob,” if you just happened to have dropped in from the Elizabethan Age. We were surprised to learn that one of our favorite magazines, The Economist, includes an audio version. Download the app, tap the icon for the headset, and listen to all of the articles or create a playlist of the most interesting ones. The voices are professional readers and have that British classic BBC announcer sound. Unfortunately, you must be a subscriber, which costs $147 per year for the digital/audio edition. We checked to see if other magazines have free audio versions and found the website AudioReadingServicePodcast.com, a service of a public library in Indiana. They have Time Magazine, AARP, Smithsonian, Reader’s Digest and others. The Atlantic magazine has articles available to listen to for free at theatlantic.com/podcasts/audio-articles/. Now we get it. We know why our youngest relatives are mad about Fortnite, and a heck of a lot of adults. We read about it in David Pogue’s column at Yahoo.com. The Fortnite shooter game is free and kinda funny. The first vehicle allowed in the game was a shopping cart. You arrive in the game on a flying bus. And there are no blood and guts spread across the screen; when you shoot someone, they just go down. But the circle you play in gets ever smaller, making it more intense, as the odds of being killed get ever shorter. 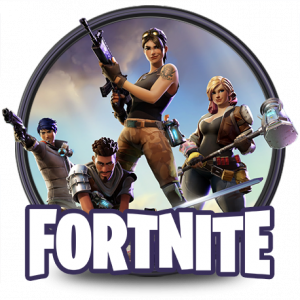 Fortnite has 125 million players; about 40 million are there every month. In May, last reported month, the game’s maker, Epic Games, took in more than $10 million a day, as players paid for extra challenges and rewards. Keep those shopping carts rolling. A reader wrote: “Had a very strange incident with my cellphone recently. I had an incoming call and it was from my own phone number!” Her husband told her not to answer, but she did anyway. And … there was no one there! This reminds us of sci-fi stories where one meets oneself somewhere and the usual problems ensue. In this case, the call is coming from someone else. You can make any call look like it was coming from another number by using an app that changes the caller I.D. Asterisk.org and FreeSWITCH.com can do this. We haven’t tried these out, so this is just for your own information. FreedomInThe50States.org shows you which states have the fewest regulations and lowest taxes. It’s put together by the libertarian Cato Institute. Florida is their number one, New Hampshire number two, and then Indiana, Colorado and Nevada. FakeSpot.com. Surprise! Some Amazon and Yelp reviews are fake. If you’re suspicious, paste in the website listing at FakeSpot.com and click “analyze.” All the ones we looked at got “A” grades, but we’re sure there are fakes out there. 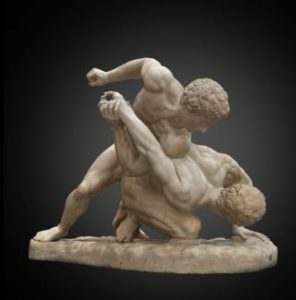 DigitalSculpture-uffizi.org. Visit a famous art gallery in Florence, Italy without leaving your sofa. The “Uffizi Digitization Project” has 3D scans of more than 300 items from the gallery’s Greek and Roman collection. Turn around an ancient statue, just by moving your mouse. Most impressive. Uffizzi, by the way, is simply Italian for “offices;” the building formerly housed the offices of the Medici family.